What it states. What it means. 3rd "No soldier shall, in time of peace be quartered in any house, without the consent of the Owner, nor in time of war, but in a manner to be prescribed by law." I believe this means that no soldier in a time of peace or war is allowed to take shelter in anyone's home unless they are told they are able by the home's owner. 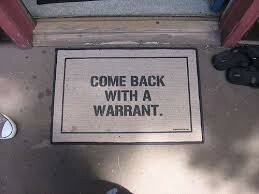 4th "The rights of the people to be secure in their persons, houses, papers, and effects, against unreasonable searches and seizures, shall not be violated, and no Warrant shall issue, but upon probable cause, supported by Oath or affirmation, and particularly describing the place to be searched, and the persons or the things to be seized." I believe this means that unless a person has a probable cause or a warrant they are not given the right to go through or take a person or their belongings. A federal district court recently rejected a rare Third Amendment claim against local police. 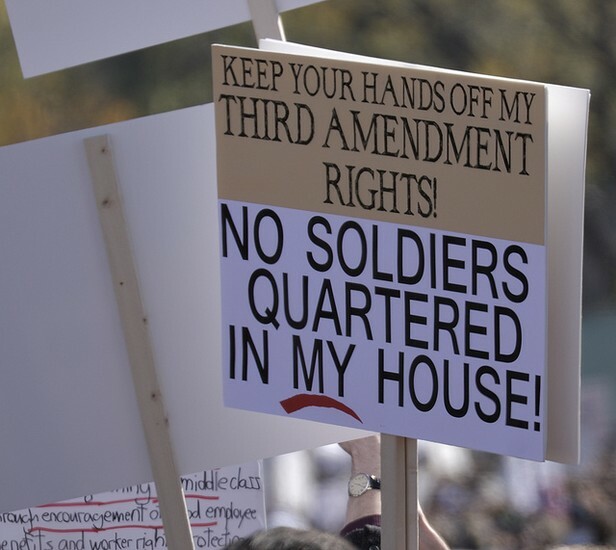 The Third Amendment forbids the "quartering" of "soldiers" in private homes. The plaintiffs claimed that local police had violated the Amendment by occupying their house. The ruling raises some important issues about the scope of the Amendment and its applicability to state and local governments.